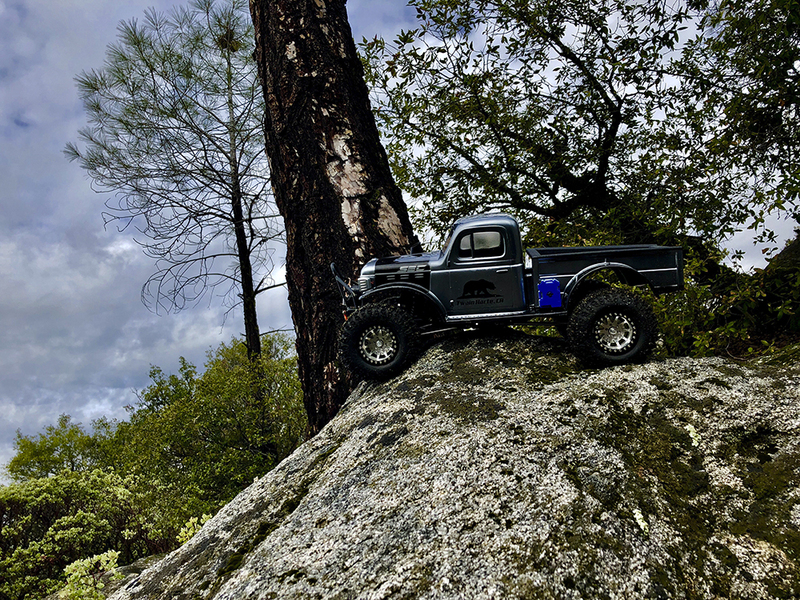 Cameron McLean implored us to take a look at his Dodge Power Wagon build, but with the gorgeous photos to match the retro-cool style of his truck, he could totally have played it cool and we still would have picked him for Reader’s Rides. 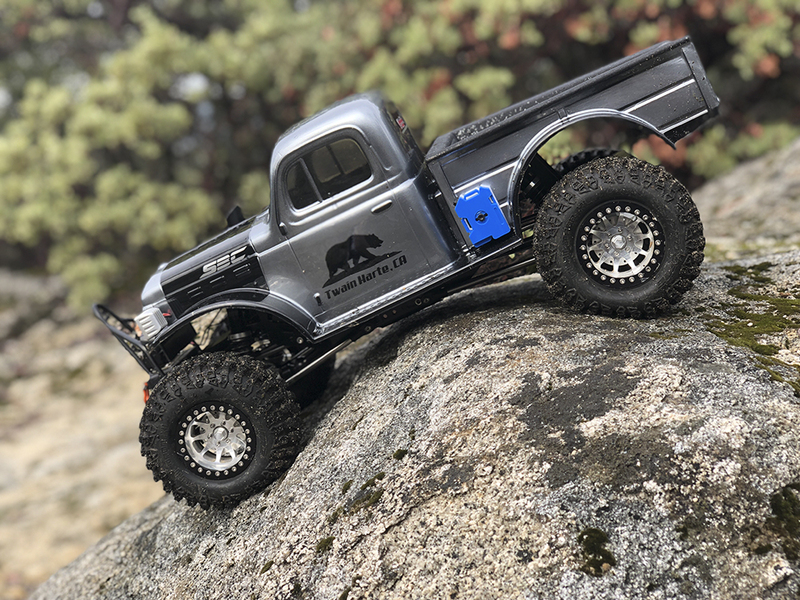 Any of y’all out there wanting to know how to make your truck stand out—pix like this are a great start! 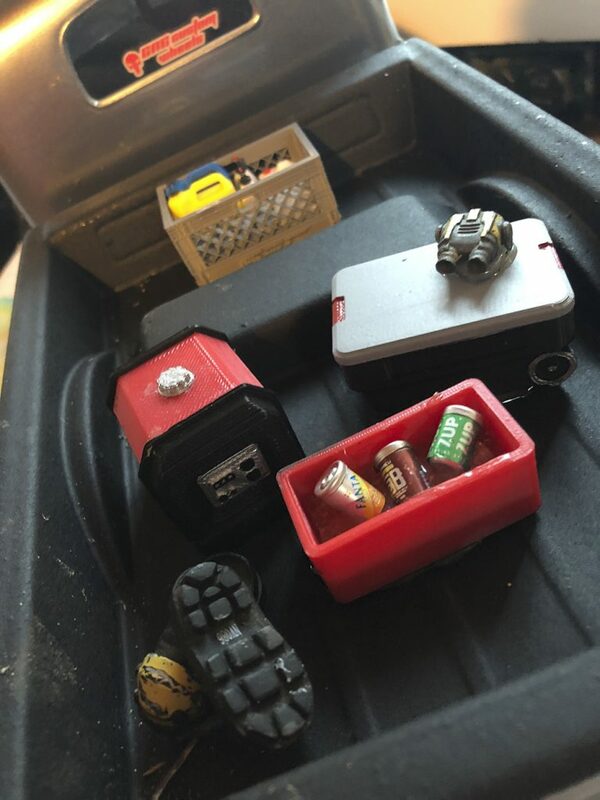 Cameron started with a BP Customs chassis equipped with Incision links. 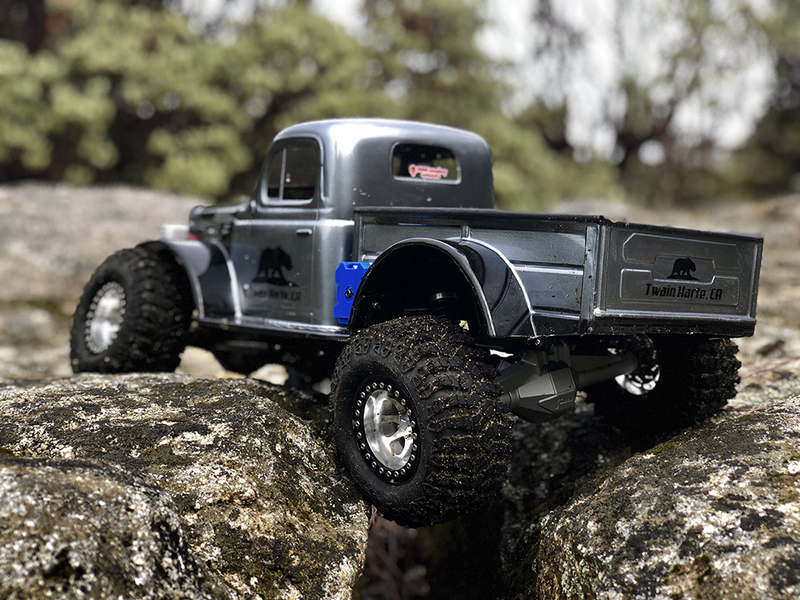 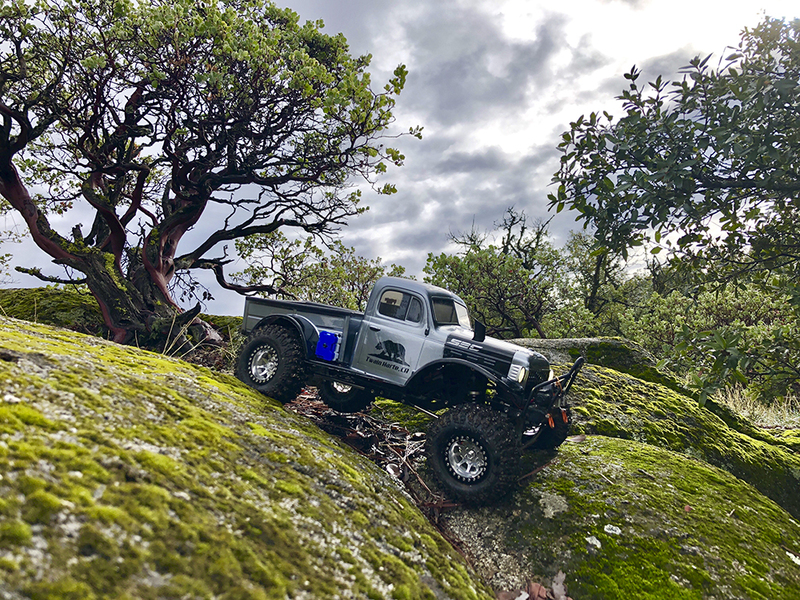 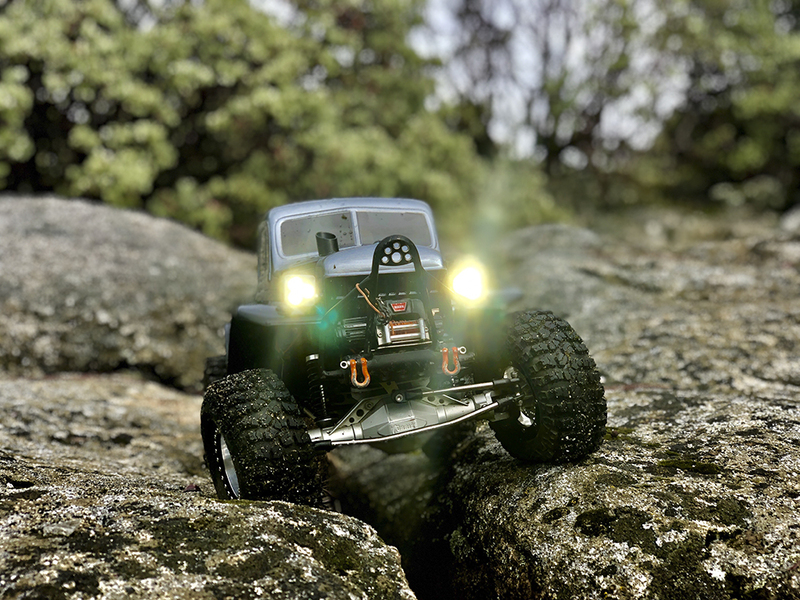 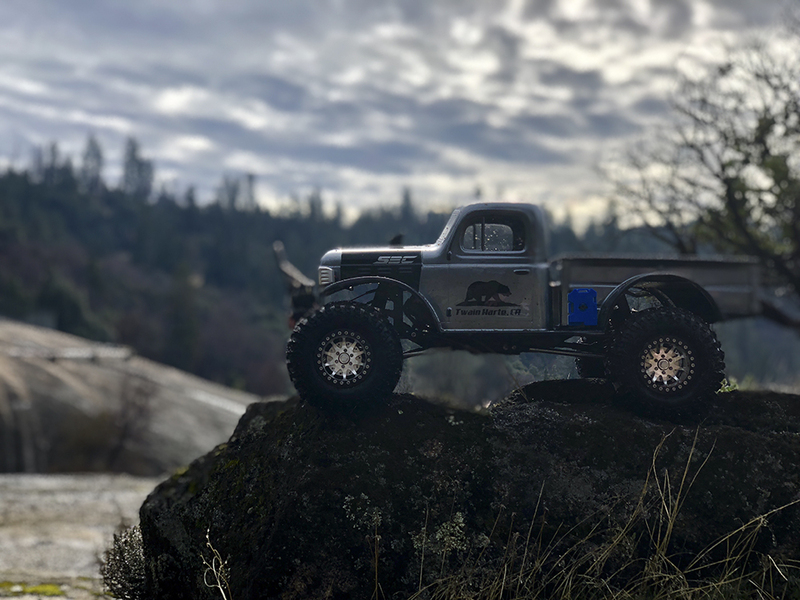 A Holmes Hobbies BLE speed control and 3300KV Trail Master motor put the ‘power’ in this wagon, and its topped by Pro-Line’s Dodge Power Wagon body. 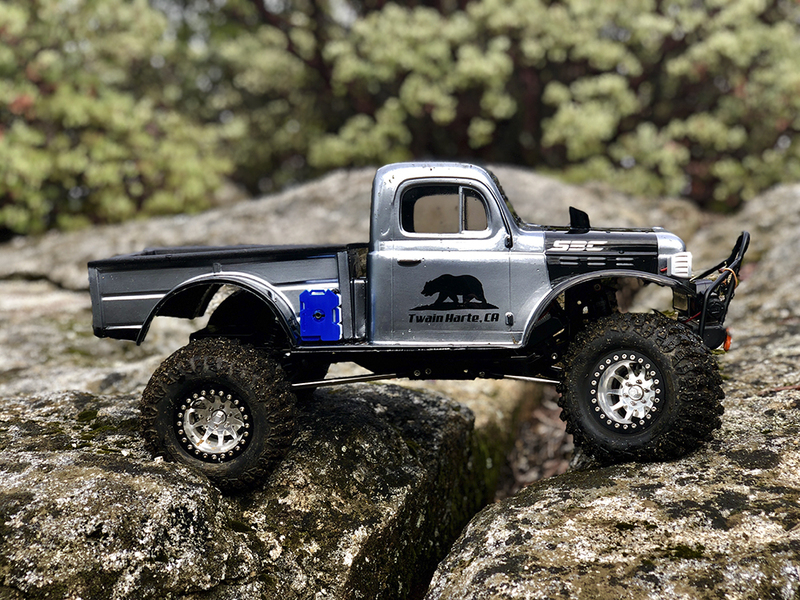 The Flat Iron XL tires are from Pro-Line too—wrapped around a set of CNC Customs 2.2 wheels drussed up with with wheel nuts and rotors from TJRC. 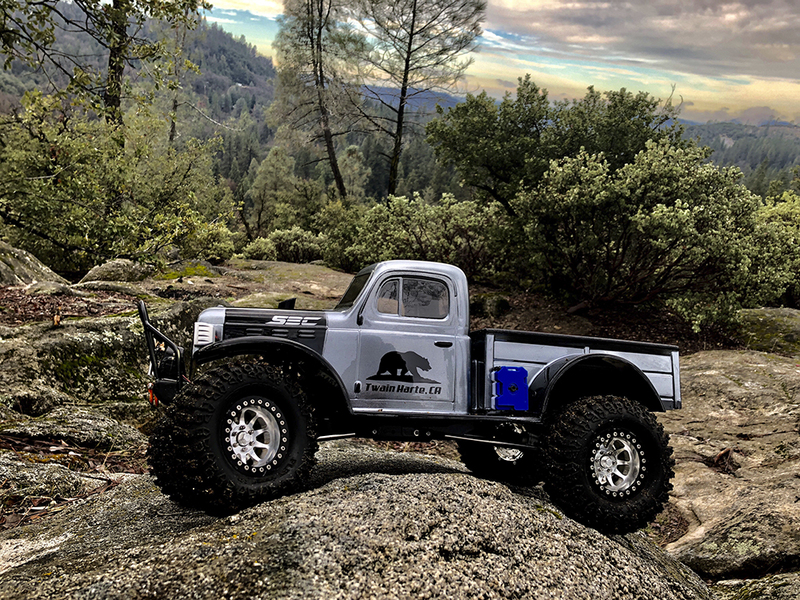 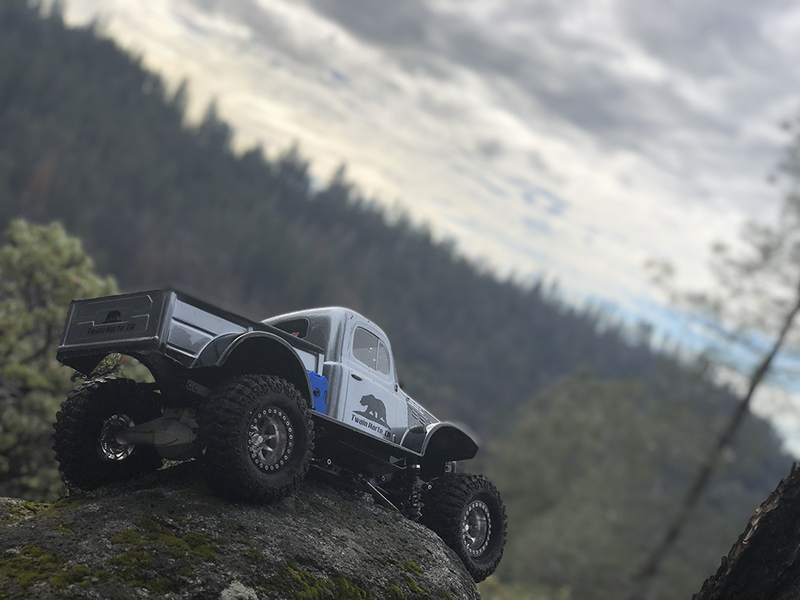 The scale roto packs on the sides are from Scale By Chris (SBC) and Cameron finished it off with a big brush bar front bumper and diesel stack from PigSnot Chassis.